Academy Award® winner Ron Howard returns to direct the latest bestseller in Dan Brown’s (Da Vinci Code) billion-dollar Robert Langdon series, Inferno, which finds the famous symbologist (again played by Tom Hanks) on a trail of clues tied to the great Dante himself. When Langdon wakes up in an Italian hospital with amnesia, he teams up with Sienna Brooks (Felicity Jones), a doctor he hopes will help him recover his memories. Together, they race across Europe and against the clock to stop a madman from unleashing a global virus that would wipe out half of the world’s population. KIDS FIRST! Film Critic Tre’ana H. comments, “It is interesting, but not for me. The director Ron Howard keeps you in suspense and on the edge of your seat, but there is so much going on in this film that it’s difficult to keep it all straight.” See her full review below. I did not enjoy this film very much because it is like a jig saw puzzle where the pieces all need to be in place to figure it out and they’re not. It is interesting, but not for me. The director Ron Howard keeps you in suspense and on the edge of your seat, but there is so much going on in this film that it’s difficult to keep it all straight. When Robert Langdon (Tom Hanks) wakes up in an Italian hospital with amnesia, he teams up with Dr. Sienna Brooks (Felicity Jones) and together they must race across Europe against the clock to foil a deadly global plot that would wipe out half of the world’s population. I can’t reveal any more so please go check it out for yourself. The most memorable moment is when Robert Langdon and Sidse Bebet t Knudsen (Elizabeth Sinskey) get to Europe and, in order to stop the global plague, Sidse jumps into the water to help the police get control of the deadly plague. It is awesome the way she joins right in without any hesitation. The film takes place all over Europe with beautiful scenery and amazing buildings with great artifacts. The moral message of this film is be aware of who you encounter when doing professional business. A person can befriend you, but that definitely does not mean they will be a true friend. In any job or something you play a part in, pay close attention to your surroundings. I recommend this film for ages 15 to 18 and give it 3 out of 5 stars because it is not particularly child friendly. This film is better suited for older teens and adults. I talked with some adults about this film and even they stated that they had a hard time grasping this movie. This movie hits theaters Friday, October 28, 2016 so go check it out and let me know what you think. From NCircle Entertainment comes a collection of Halloween DVD that are perfect for the younger kids in your family, from preschool to early elementary. Starting out with the delightful Room on the Broom based on the best-selling children’s picture book written by Julia Donaldson and illustrated by Axel Scheffler. The story follows a kind witch who invites a surprising collection of animals to join her on her broom, much to the frustration of her cat. When the gang saves the witch from a fearsome dragon she rewards them with a magnificent new broom, which has room for everyone! KIDS FIRST! Film Critic Rohan F. comments, “Overall the film is magical… I like the animation because it is very detailed. I imagine that it must have taken a lot of hard work to make this film. The expressions of the characters are very amusing and made me laugh.” See his full review below and information about the entire Halloween Collection from N Circle. This film is very funny and has great animation. I enjoyed that they quote directly from one of my favorite old books, “Room On the Broom” by Julia Donaldson. I also like how the words all rhyme. I watched it with a toddler and he loved the movie because he liked making the WHOOSH noise when they took off. He also enjoyed all the different animals and the repetitiveness. Overall the film is magical. 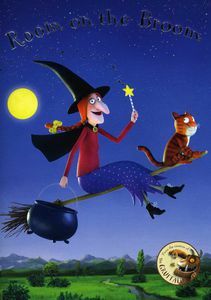 Room On the Broom is about a witch and her cat. They go on a trip and the witch drops something from her broom. She flies down to get it and a wild animal finds it. When they give it back they ask her if they can come with her. Meanwhile, a scary monster is chasing them, but they don’t know. This happens three times and soon there are so many creatures on the broom that it becomes too heavy. I like the animation because it is very detailed. I imagine that it must have taken a lot of hard work to make this film. The expressions of the characters are very amusing and made me laugh. I also enjoyed the music because it sets the mood for each scene. My favorite part is when the monster has the witch and it seems like she’s doomed. I like this part because it is a twist on the rest of the film. It is also the scariest part of the film. I like this scene because it is action packed and you wonder if they’ll escape. The cast includes Simon Pegg as the narrator and Gillian Anderson as the witch’s voice. The four animals are played by Rob Brydon, Martin Clunes, Sally Hawkins and David Walliams. The story is about a witch who meets lot of creatures that become her friends and then save her. The moral of this film is to be kind and make friends and it emphasizes the importance of friendship. Parents could have their children read the book along with the narrator and that would enhance their learning experience. I give this film 4 ½ out of 5 stars and I recommend it for ages 2 to 8. I think parents would enjoy watching with their younger kids. It is available now on DVD so, go check it out. Sid the Science Guy: Sid’s Spooky Halloween – It’s Halloween! Join Sid and his friends as they discover how bats catch mosquitoes, why spiders are expert engineer web builders, and how skeletons make up the foundation of our bodies. The kids dress up to celebrate Halloween at school, and Teacher Suzie leads them in a special Halloween parade song to show off their costumes! With Sid the Science Kid, Halloween can be spooky and scientific! 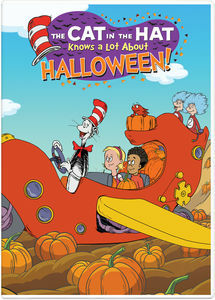 Cat in the Hat: Tricks and Treats – A new spooky adventure this DVD brings, with the Cat, Nick and Sally, Fish and the Things. Meet the eeriest critters you’ve ever seen, arrived just in time for Halloween. Therell be lots of tricks and of course, lots of treats, to share with the animal friends you will meet! There’s coconut crab, spider monkeys and bats, and plenty more fun with the Cat in the Hat. Doozers: Spookypalooza – Welcome to Doozer Creek where the Doozers live! They’re green. They’re cute. They’re three inches tall and they’re full of energy, ideas, and enthusiasm! 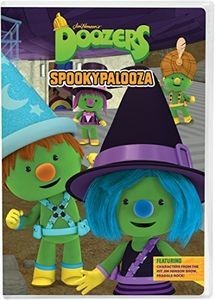 It’s Spookypalooza! The time of year when all Doozers get together to spook each other. The Pod Squad makes the spookiest pumpkin ever a cool Pumpkin Doozer made by stacking three pumpkins together. But when their new invention starts rolling all around town, the Doozers have to find a way to reign in their spooky creation! Enjoy four STEM-based adventures with the Doozers! Houdini – Twelve year old Harry has lived and breathed magic since his early childhood. Unfortunately, his hometown, Appletown, is not the best place for his natural talent to blossom. One day Harry catches the glimpse of a chance: the New York mayor has announced a magic competition due to the official opening of the Statue of Liberty. In order to try out one must be trained by a real magician and Harry doesn’t know one. Harry’s father runs into the magician, the Great Tesla, in town and Tesla promises to see Harry, spots his talent, creativity and decides to give him a chance. Chica Show: Chica’s Halloween Adventure – It’s Chica’s favorite time of the year but her indecision on what costume to wear stops her from enjoying all the Halloween fun. Will she be able to make up her mind in time? Find out in Chica’s Halloween Adventure! Then continue the fun with four more adventures in the Costume Coop. What are you waiting for? It’s time to dress up! The Cat in the Hat Knows a Lot About Halloween! – The Cat in the Hat takes Nick and Sally on a Halloween ride filled with howlers and shockers and scary fandangles, big laughs and music and fun from all angles! Their fright-filled adventure takes them deep into the Oooky-ma-kooky Closet where Nick and Sally discover the very best Halloween costumes ever. Pocoyo: Boo! – Join Pocoyo and his friends on seven playful adventures. Whether it’s playing a new game called Boo!, enjoying a monster mash party or pretending to be Godzilla & King Kong, every day is fun & engaging with Pocoyo and his friends! The full-length ANIMATION SHOW OF SHOWS is definitely for adult audiences but many of the theaters where it will be playing are offering “family-friendly” matinee screenings with just 12 short animated films which tackle a variety of themes and subjects in a variety of animation styles. KIDS FIRST! Film Critic Morgan B. comments, “This family-friendly animation collection consists of 12 short films. Each film has a different story and inspiration. There are films about families, children, mothers, fathers, animals and many other subjects. This is what really made this collection of animation films very special.” See her full review below. This family-friendly animation collection consists of 12 short films. Each film has a different story and inspiration. There are films about families, children, mothers, fathers, animals and many other subjects. This is what really made this collection of animation films very special. My absolute favorite film is About a Mother by Dina Velikovskaya. This short film is about a mother who is willing to give up everything she has to make sure that everyone in her family is safe and sound. I love this film because it reminds me of my mother and how she has given up so much so I can be safe and happy. The animated black and white figures are very simple which makes this story unique and brilliant at the same time. My other favorite film is Pearl by Patrick Osborne. This short film is about a father and daughter’s relationship over many years and shows how things change and yet how things stay the same. I like this film because it is very sweet and it touched my heart. The animation is hand drawn and it looks like a cartoon that came from a story book. I also really like a short film called Piper by Alan Barillaro about an adorable baby bird trying to find food and learning to grow up. It is adorable, has a unique story and stupendous animation. This one was made by PIXAR and played in theaters prior to the feature film Finding Dory. I also love the comedy films which really help lighten up the mood of the whole event. Another favorite is Mirror by Chris Ware. This is a funny story about a mother who might have said the wrong thing to her child accidentally. It shows both the mother’s and the child’s points of view. This story is quite different way than all the other short films which makes it stand out from the rest. The animation is very simple, yet complex at the same time and that is what makes it so brilliant and unique. This film is a comedy which had me laughing the entire time. This festival really stands out in a magnificent way. It shows young illustrators and animators that they can accomplish their dreams and that they can do anything. I recommend that when you watch these films, you think about how much time and effort it takes to draw and animate these ideas that brighten our world. These animators are our future filmmakers and seeing their work helped me dream big and touch the sky. I recommend this collection for ages 6 through 18. They will enjoy this animated film collection and the great story lines. I give these films 4 ½ out 5 stars. This festival plays in Los Angeles, CA October 21-27, 2016 and travels around the country. 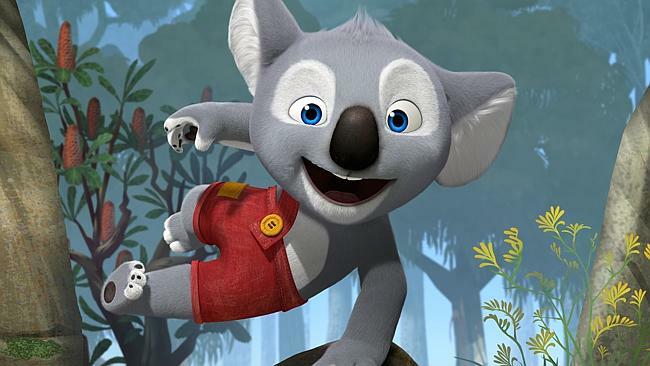 Blinky Bill the Movie is a 2015 Australian-American computer-animated adventure film based on the Blinky Bill character, an anthropomorphic koala created by Dorothy Wall for a children’s book series in 1933. Blinky Bill is a little koala with a big imagination. An adventurer at heart, he dreams of leaving the little town of Green Patch and following in his missing father’s footsteps. When Blinky discovers a mysterious marker that hints at his Dad’s whereabouts, he embarks on a journey that takes him beyond the boundary of Green Patch and into the wild and dangerous Outback. He quickly makes friends with Nutsy, a zoo koala, and Jacko, a nervous frill-necked lizard. Pursued relentlessly by a vengeful Cat who has a personal score to settle with Blinky, the trio must learn to work together if they ever want to survive the rugged Australian landscape and find Blinky’s father! KIDS FIRST! Film Critic Morgan B. comments, “This is actually a pretty cool film. I love the animation because it is so crisp and clear and detailed. I like that it’s so simple and colorful but yet has quite a lot of detail. It makes it seem like it’s real.” Linda D adds, “I love this film and think that any young child will absolutely love it too. 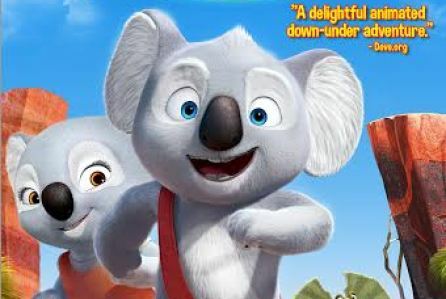 It is an amazing film to watch as a family, filled with adventure, friendship and an unforgettable journey on a young koala’s quest to find his dad.” See their full reviews below. I love this film. It was very fun to watch. I like that the adventures are comical and it’s based on an Australian cartoon. It’s a movie based on koalas which I’m very happy about because they haven’t done that in a long time. Plus, it takes place in Australia so it has a few Australian words which are actually quite funny. And, of course, they have Australian accents which I like too. 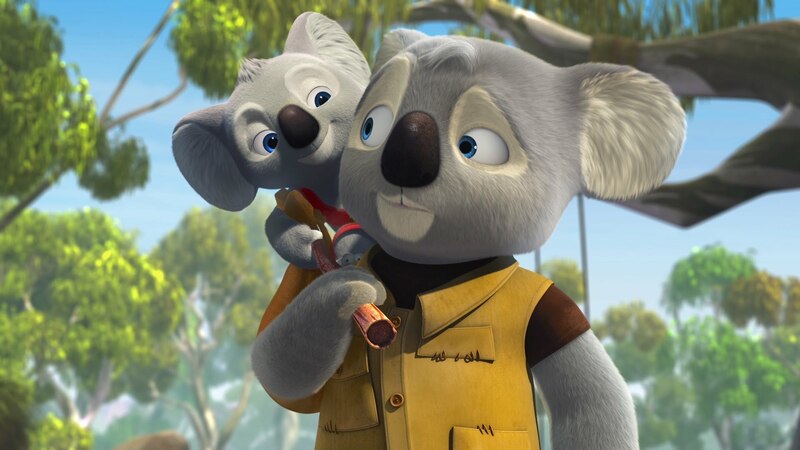 It has quite a cast including Ryan Kwanten as Blinky Bill, an adventurous koala who decides to go look for his dad who has gone to the sea of white dragons to look after him mum and has been gone for almost a year. So, Blinky’s worried about him and decides to go on an epic quest. On his way he meets Nutsy (Robin McLeavy) who is my favorite character. She is very silly and ditzy. Not only that but she’s kinda like a zoo koala, aka a city girl. I think she’s trying to find her inner wild side. She is very funny because she has some quite snotty remarks as well as she pretends that she doesn’t like Blinky Bill most of the time. You can tell that her character is dead. Then there is David Wenham who plays Jacko. Nutsy and Blinky Bill try to find him and they help him out when he gets stuck in a couple of situations. Let’s just say he’s very silly and I like the way that his character is so uppity. He’s very comical and a little crazy. But, that just adds to the excitement. 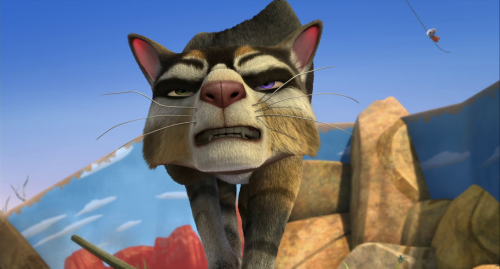 Then there’s the evil Cat played by Rufus Sewell. He’s actually trailing behind Blinky and everyone else just because he doesn’t like koalas. He doesn’t like them because something happened in his past. This is actually a pretty cool film. I love the animation because it is so crisp and clear and detailed. I like that it’s so simple and colorful but yet has quite a lot of detail. It makes it seem like it’s real. My favorite scene is probably Nutsy decides to finally go to her zoo home, which she’s been trying to do the entire time, but decides to go with Blinky Bill instead and go with his family as well as Jacko. It was very sweet and a very humble moment as well. And, it’s very silly, all because she decided to get over heights. It is actually very funny and the way the two of them bond is very adorable. I recommend this film for ages 5 to 12. Kids will love the story, the animation and the adventure. Older adults will probably like it too because it is very funny and silly. I give this 5 out of 5 wild outback koala stars. I love this film and think that any young child will absolutely love it too. It is an amazing film to watch as a family, filled with adventure, friendship and an unforgettable journey on a young koala’s quest to find his dad. 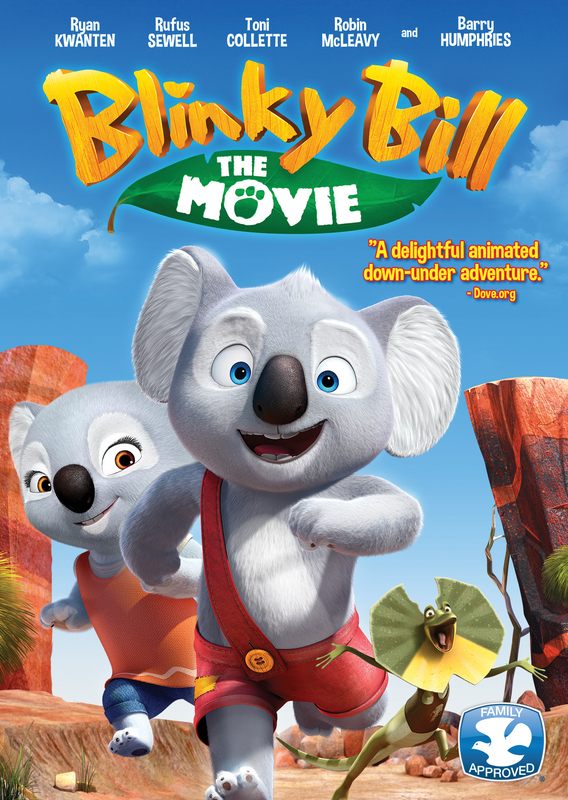 Blinky Bill is an animated film about a young koala, Blinky Bill (Ryan Kwanten) who seeks adventure and goes out to find his father Mr. Bill (Richard Roxburgh) who has been missing for a year. He leaves without telling his mother Mrs. Bill (Deborah Mailman) but informs his friends about his trek into the Australian Outback. Leaving his home in the refuge of Greeanpatch, Blinky heads into civilization where he begins his adventure of dodging a cat (Rufus Sewell) who is intent on getting his revenge on Blinky. 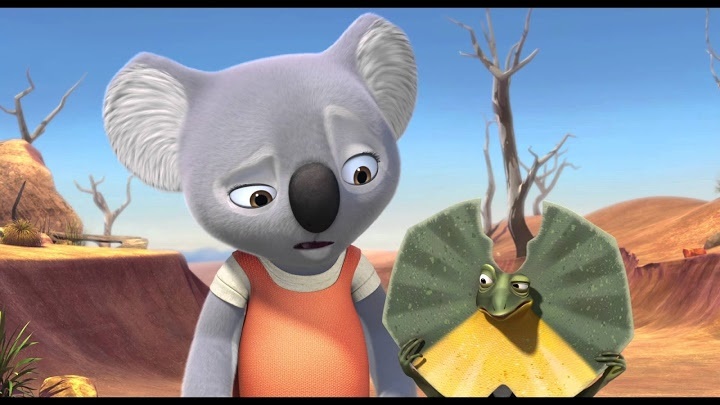 He encounters Nutsy (Robin McLeavy), a young female koala who is on her way to her new zoo when Blinky accidently runs into her and Jacko, a nervous frill-necked lizard. With his new friends, Blinky embarks on an adventure to save his dad. The greatest feature of this film is how the animals appear, because the animals look cute and realistic at the same time. My favorite character is Nutsy, because she is strong and knows what she wants and, although all she knew was Zoo life after being orphaned, she is able to be open to new adventures with Blinky. My favorite part of this film is when Blinky throws fruit at the new ruler of the town, Mayor Cranklepot (Barry Otto)a lizard and gets him all dirty This is my favorite because everyone is laughing and that scene left me smiling. The moral of this story is that if you believe in something, go for it. If Blinky didn’t go after his father he would never have been able to go on his amaz ing adventure and meet his new friends. I give this film 4 out of 5 stars because of its appealing story line that packs a lot of fun into the film. I recommend this film for ages 4 to 6 since older children may get bored of the child-like situations, but adults might like to watch it with their younger children as a family. 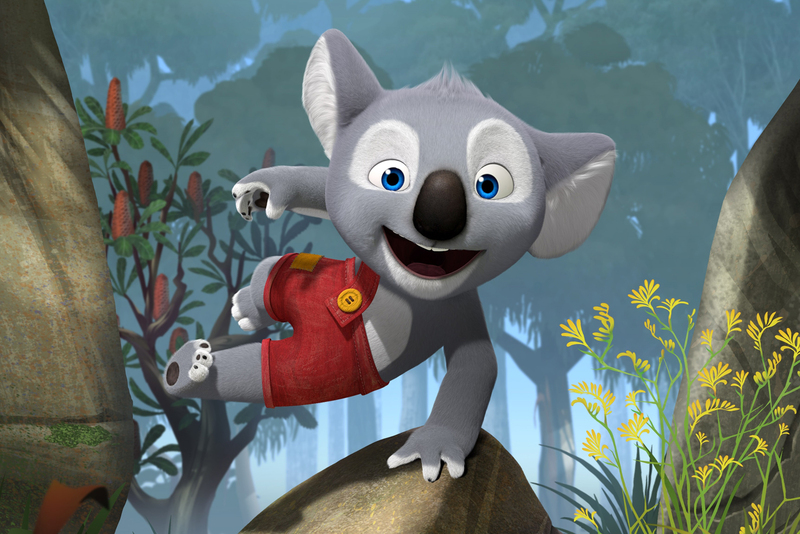 Blinky Bill is playing in theaters now and will be available on DVD on October 11, 2016. I absolutely enjoyed watching this movie because I could relate to the characters. Also the humor is great and the cast is superb. Meet Rafe (Griffin Gluck) who is entering another middle school, due to his behavior. Rafe attends his new school, but there is too many rules and Rafe doesn’t like rules. So Rafe and his best friend Leo (Thomas Barbusca) decide to break every rule in the school. Rafe does this because the principal doesn’t promote creativity and destroys his notebook which is filled with all his drawings. Many people can relate to hating school at some point in their life and that is what makes this movie so relatable. I love the animations, because they are child friendly and are very well drawn. It shows that it’s okay for you to have and use your imagination and be creative. Additionally, the performances of Griffin Gluck, Thomas Barbusca, Isabela Moner, Alexa Nisenson and the entire cast is fantastic. You can tell that the actors took it seriously and when they portrayed their emotions, it doesn’t seem fake. It feels very real. The soundtrack is perfect. It gives the right tone and energy for the scenes. I love this movie so much there is nothing I didn’t like about it. This is Alexa Nisenson’s first featured film and she gives an amazing performance as Georgia, making me laugh many times. Also, she makes you feel her emotions throughout the movie. The humor in this movie is great. I love the pranks Rafe uses to break the school rules which are created by the mean principal. My favorite scene is when Rafe puts post-it notes all over the school because I love how he created artwork with the post-it notes. This movie is a must see, and I think that most kids will love this movie as well including the adults. I recommend it to kids ages 6 to 18. I give this movie 5 out of 5 amazing stars. I recommend it to people who like adventure, family, comedy and book-based movies. Be aware that this movie contains some mild language and kids under the age of 6 might not understand what is going on. Also, there are a few emotional scenes, so bring your tissues. Make sure to see this film when it opens October 7, 2016 in theaters nationwide. 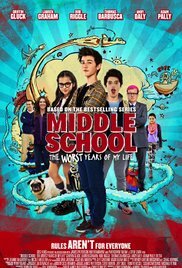 Middle School: The Worst Years Of My Life is the best movie I have seen for middle school kids in a long time! It is fun and creative, and I absolutely enjoyed it. This movie is based on the book by the same name, about a kid named Rafe (Griffin Gluck) who is in middle school. He is one of those troubled kids, although we really like him. He has been expelled from many schools and this is the last school he can get into. His school is very strict and he doesn’t like it at all, so he decides a plan to try to get back at the principal for making all these horrible rules. My favorite character is Rafe, the main character, because he is hilarious! Rafe is very creative and shows a lot of emotions. His little sister Georgia (Alexa Nisenson) is very funny and sassy. There is one scene where Georgia cries and she almost made me cry. It is so realistic! Lauren Graham from The Gilmore Girls plays the loving mom. The other adults are more like human cartoons. Their behaviors are stereotypical and over the top silly. The music really sets the tone of the movie and gets the audience involved. I enjoyed the music a lot because it includes some of the most popular songs today. It got me more into the movie and made me think it was a real middle school that other kids attended. I think the animation is incredible! It looks very much like a drawing from a very artistic person and it gives your brain something to think about. The animated creatures are funny and creative and they feel like they are Rafe’s friends. The animation helps us explore more of Rafe’s imagination as the characters come to life. I really like how the characters are very detailed, colorful and look like they are hand sketched, making you think Rafe actually drew them. The audience was very into this movie and were on the edge of their seats. The plot is very unexpected. The audience seemed to really connect to all the characters, especially one of the main teachers, Mr. Teller (Adam Pally). He is very relatable and seems like a great teacher that a lot of kids would want to have as their own teacher. My favorite scene is when Rafe puts sticky notes all over the whole school. It’s very creative and funny. I loved the artwork of the vice principal’s face in sticky notes. The use of color and design to the sticky notes is very creative. I recommend this film for ages 8 to 15 rate it 5 out of 5 stars. It opens October 7, 2016 so go see it at your local theater. Your kids are going to love it! You are currently browsing the KIDS FIRST! News weblog archives for October, 2016.